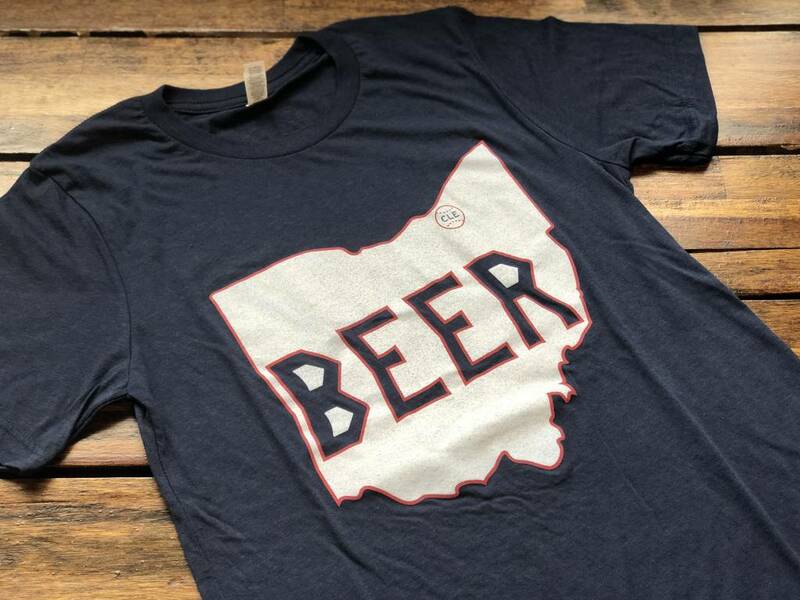 Navy tri-blend crew neck t-shirt with MGB Beerhio logo on chest. In navy and red, Cleveland Indians colors, with MGB hop badge logo on back. (50% polyester, 25% cotton, and 25% rayon).